Playwright John Godber turned to the lives of his grandparents, Jack and Liz, for his poignant and thought-provoking drama ‘Happy Jack’. 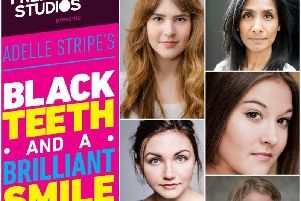 Halifax Thespians are presenting the play at Halifax Playhouse from Tuesday, May 19 to Saturday, May 23 at 7.30pm, with a Saturday matinee at 2.30pm. John tells the story of his grandparents in reverse, from their final years together back to the point where they first met. The journey reveals the tenderness of their love, as well as the volatility of their relationship, the affection as well as the occasional aggression, the compassion and the jealousy. The playwright’s grandfather was a miner and ‘Happy Jack’ was written two years before the miner’s strike. His companion piece ‘September in the Rain’ told the story of Jack and Liz on their holidays. Halifax Thespians have produced several successful productions of John Godber’s work including ‘Teechers’ and ‘Happy Families’. According to the Plays and Players Yearbook, he is the third most-performed playwright in the UK. Taking part in ‘Happy Jack’ are Derek Smith, in the title role, and Lynn Whitaker as Liz.